Making cookies at Christmas is a family tradition. A tradition that I didn’t want to give up just because we started following a Keto way of eating. Thankfully although Keto is a diet which many people see as very restrictive it’s actually pretty lenient once you figure out the rules. Learning how to substitute almond or coconut flour for wheat flour and sweetener for sugar is challenging at first but very simple after you have done it a few times! It wasn’t hard to convert an old favorite into these keto Christmas cookies. 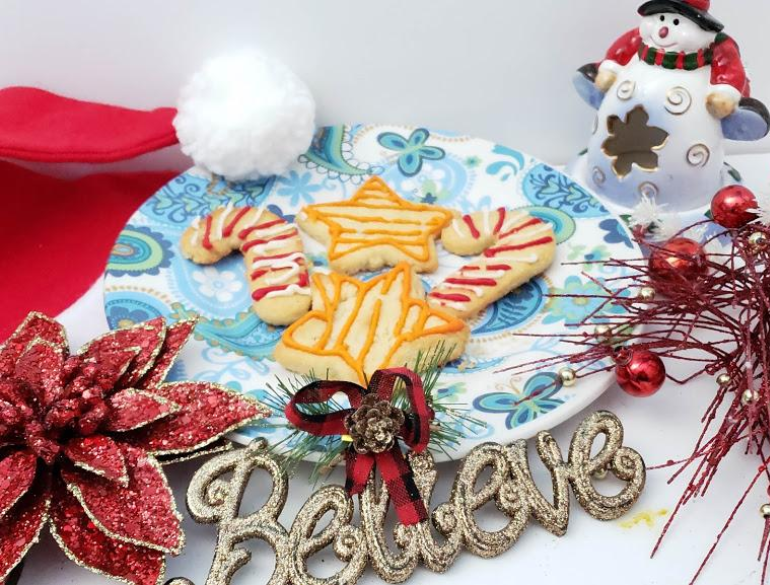 These roll-out Christmas cookies have always been a favorite of mine and baking during the holidays is as much a part of the Christmas celebration in our house as Christmas crafting is! Certainly, my children would never let a Christmas go by without getting the chance to decorate some cookies. I can’t blame them really – decorating cookies is a lot of fun! Don’t worry – the icing is keto too! Recipe Makes – Approximately 20 Cookies depending on cookie cutter size. Using a fork or hand mixer cream together your butter and sugar substitute. It is much easier to start out with softened butter but if you forgot to set yours out beforehand you can pop it in the microwave for about 30 seconds! Mix until well combined, depending on the sugar substitute you have chosen you may not get the fluffy butter you are probably used to when making these types of cookies. It’s okay! Everything will work out just fine in the end. Add your egg, baking powder, and vanilla extract. Mix until well combined. At this point, your dough will be pretty wet. Slowly add your almond flour one cup at a time until your dough begins to resemble a crumblier mixture. Your dough should look crumbly in the bowl but still be wet enough to stick together if you press it together. Press your dough into a ball, wrap it in some plastic wrap and then set it in the fridge to chill for at least 30 minutes. once your dough has chilled roll it out between two pieces of parchment paper. I find it best to keep the dough about 1/4-inch-thick but feel free to make it thicker if you prefer softer cookies. Use cookie cutters to create the shapes you desire. A spatula can be helpful in moving your cut shapes onto the baking tray but if you find the dough getting too soft and breaking easily then pop it back into the fridge to chill some more. This dough is much easier to work with when it’s cold! Bake your cookies for 6-10 minutes at 400 Degrees and allow them to cool completely before trying to put the icing on. As your cookies are cooling down create your icing. Use approximately 1 cup of Swerve confectioners for every color you wish to create. Slowly add your Heavy Whipping Cream one tbsp at a time, mixing well with each addition until your icing reaches the consistency you desire. For thinner icing add more, for thicker, use a bit less. 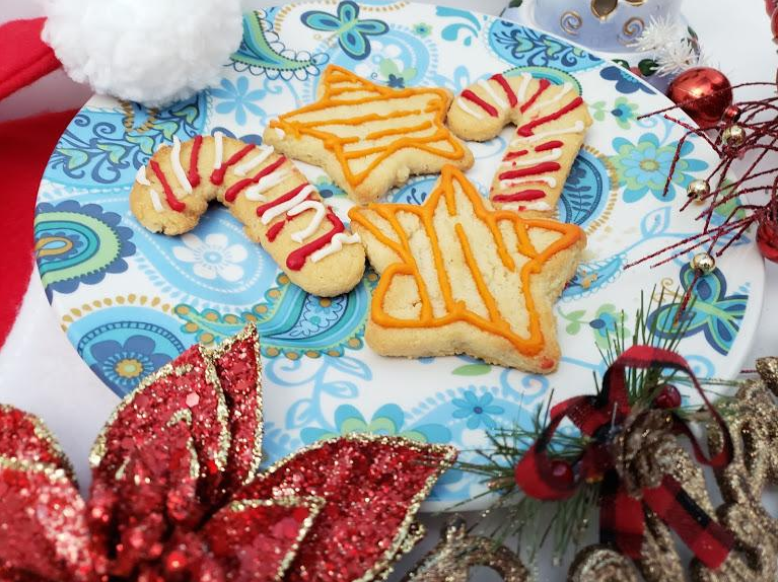 Use a piping bag with a small tip (Or a sandwich bag with a corner cut off) to decorate your cookies. I like to let my kids do this part! If you prefer to just coat your cookies you can always use a spoon to spread your icing even dip them! Kristin is a family lifestyle blogger at www.talesfromhome.com. She and her family are reformed couch potatoes determined to embrace a healthier lifestyle! She enjoys running with her golden retriever, Hiking ,writing, reading and spending time with her family. 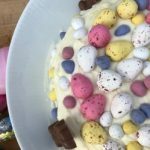 Easter Recipe Roundup: Easy Treats! 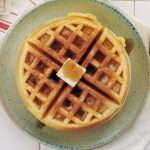 Celebrate Waffle Day on March 25th!